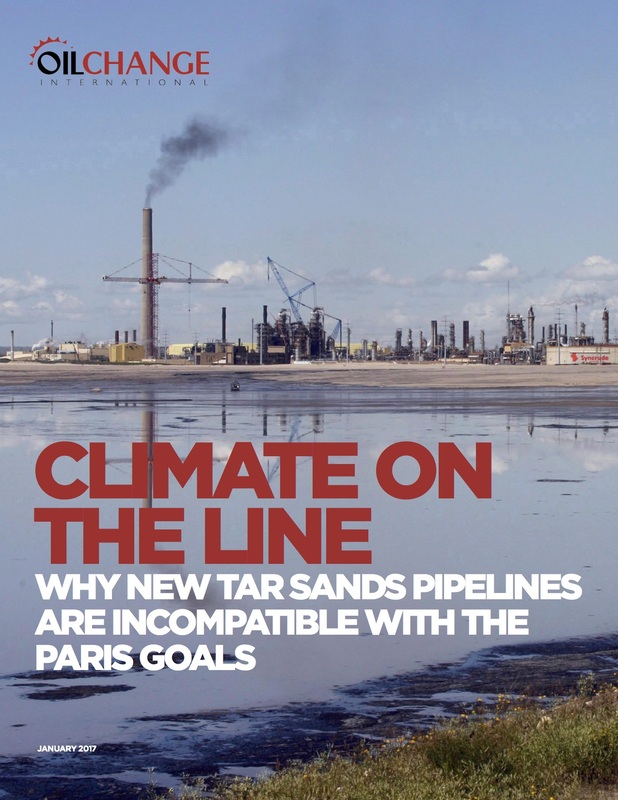 New analysis finds that Canada will be the world’s second highest contributor of new oil production globally over the next twenty years if action isn’t taken to halt new tar sands pipelines and production growth. Once extracted, much of this oil will be burned, pushing global temperature limits over the brink. Cumulative emissions from producing and burning Canadian oil would use up 16% of the world’s carbon budget to keep temperatures below 1.5 degrees, or 7% of the budget for 2 degrees. Canada has less than 0.5% of the world’s population. Scientists have found that to have a likely (2 in 3) chance of keeping warming below 2°C, global emissions must be halved within little more than 20 years. To keep warming to 1.5°C, emissions must be halved in about 15 years. 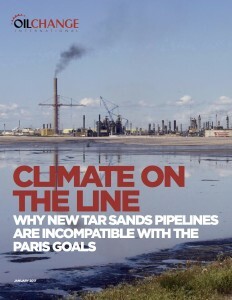 New pipelines and tar sands projects are designed to last 40 to 50 years. It’s extremely difficult to shut down projects early, once investments have been made. There’s no credible pathway to achieving the Paris goals if Canada expands fossil fuel production to the levels that are forecasted. However enormous the sacrifice we have to stop this pipeline even as Trudeau threatens us with the massive state violence he has at his fingertips. We have to act with the humility and determination demanded by the reality that the very biosphere of our planet is at stake. Our beautiful planet with all of its wonders can become inhospitable to all of life in the nor too distant future if we allow the myopia of those in control dictate what happens in our society, our economy, our polity. We are faced with a struggle more difficult and more significant than any other in all of history. We have no choice but to set our egos, our dark side, aside and reach out to grow a movement that will struggle to fight for the future of life on earth and a democratic, caring global community. Can we? Our climate is changing…in a way that is devastating…. No amount of monies gained from the extraction of “billions of barrels of oil’ will offset the destruction to our planet and our atmosphere… how can you not see that your selfish desires dare so destructive to all who inhabit this planet. What you do in Canada affects me here in the US… as does what happens in the US affects you… please do not be so greedy…. You are correct, greed is a huge part of the story but a few make ridiculous amounts of money while the majority benefit little, no more certainly than they would make under a renewable energy regime. On the other hand, greed is a way of life for most everyone in the affluent West, indeed for most of the world. Greed is no where more virulent than in todays China where not even the vestiges of a sense of the sacred exist for great masses of humanity. Also, let us not forget that fracking throughout the USA is as great a problem for the environment as is the oil from the tar sands. There are many sources of CO2, some, like cattle-raising, or coal burning are just as damaging as oil or more so. As a Canadian supporter of the Green Party and a concerned citizen of the world, I am appalled that our Prime Minister has laid the basis for at 2 degree Celsius increase in world temperature. Already, the last three year have each been successively the hottest on record. Mr Trudeau has increasingly shown himself as a hypocrite about global warming, accepting a helicopter ride to a private island to enjoy a free family vacation with a billionaire and putting forward a carbon tax proposal whihc is insufficient. At the current rate that we are planning to be supported by fossil fuels, we are ensuring mankind will face Omnicide in 2-3 decades! Opposing Kinder-Morgan is a waste of time. It will transport already produced oil. But the new Frontier project farther north will bring us new oil which the World doesn’t need, like the oil from a new offshore planned in the Atlantic. We can buy our oil.